Books with Bridget: If I Stay- Gayle Forman! 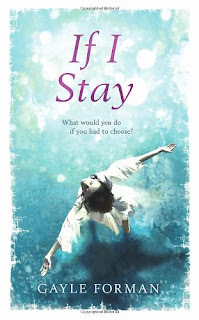 This entry was posted on Saturday, 1 October 2011 and is filed under 5 stars,book review,books,gayle forman,if i stay,novel,review,sequel. You can follow any responses to this entry through the RSS 2.0 feed. You can skip to the end and leave a response.